sorry for the lack of updates here on my official website. But summer means just one thing for a wedding photographer : work. I like to write my own posts, so I’d rather wait when I have some free minutes to do something. Yesterday I took pictures to Chiara Pelly, a beautiful and talented ballerina. 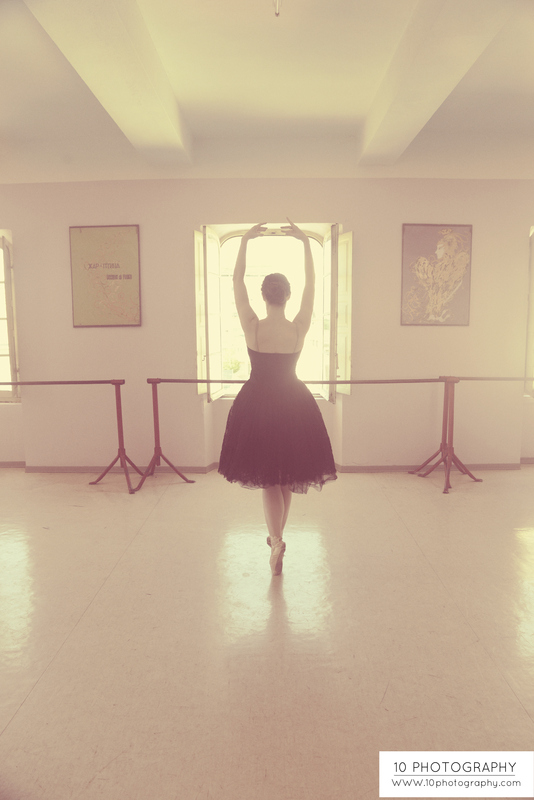 She teaches ballet in an italian school and she’s also taking her degree in Biology. What can I say? Not only I really enjoyed portraying her, but also I had the chance to shoot some high fashion gowns by the great brand Blumarine. About the editing, I felt really in a vintage-mad-mood so, that’s the result. She loved it and I hope You like it too. Feel free to comment and share. flexibility. that’s it. so talented! I wanted these pics to look more like a victorian age portrait . Please, feel free to comment! A ballet teacher, Chiara has been great when posing with me.